All of our Windows games at http://www.goodsol.com/wingames.html and all of our Mac games at http://www.goodsol.com/macgames.html are 20% off if you use the coupon code HOLIDAY on the order between now and the end of Tuesday, November 25th. With the holiday season it is time once again for the Thanksgiving Card Set, a card set with Thanksgiving holiday images on the cards. The Thanksgiving Card Set can be downloaded from http://www.goodsol.com/pgs/thanksgiving.html . Both Windows and Mac versions of the card set are available. 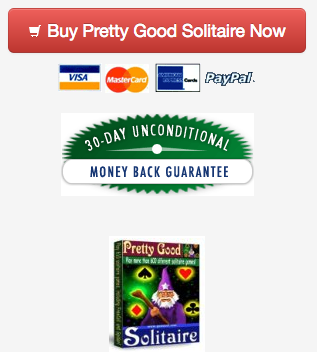 The Mac version of Goodsol Solitaire 101 has updated to version 3.0. This updates contain bug fixes and support for Yosemite. It requires at least OS X version 10.6 (Snow Leopard) or later. 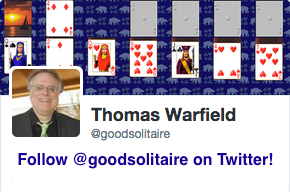 If you have Goodsol Solitaire 101: to update, run the game, go to the Internet menu, select "Download Latest Version". It will find your code automatically if you have the full version installed. Goodsol Solitaire 101 is a collection of 101 of the most played solitaire games, such as Klondike, Spider, FreeCell, Pyramid, Golf, and more. For more information, see http://www.goodsol.com/101 . The Windows version updated earlier this year. The Mac App Store versions has also updated, go to the Mac App Store to install updates if you purchased from there. This game is at Free Fan.